VANCOUVER, B.C - The football world is about to turn their attention to Russia as the 2018 FIFA World Cup gets underway on Thursday. It's going to be a fantastic tournament as 32 countries will compete to be the last one standing on July 15. Rosters have been named, favourites have been selected, and predictions have been picked. The biggest surprises, underdogs, have all been speculated upon. Just like fans across the globe, athletes, will be tuning in to watch all the action from Russia. 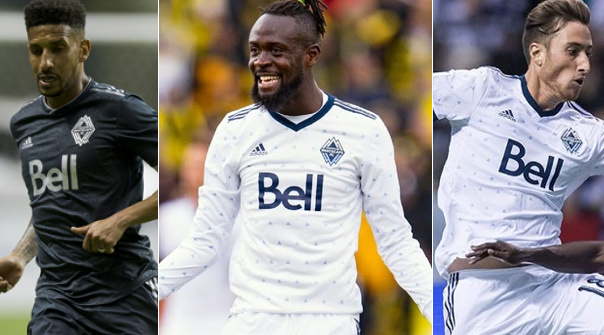 Vancouver Whitecaps FC players have chimed in and made their bold, and brave predictions. Several have shown support for teammate Kendall Waston who will represent Costa Rica. Who do Caps players have lifting FIFA World Cup Trophy? "I'm really looking forward to watching Senegal in the World Cup. It's great to see them, and what they've done. I have a feeling, Belgium is going to win it." "Messi, he's my favourite player. I think he's an amazing player. I'm looking forward to watching him win the World Cup, because he deserves that." "I'm looking forward to watching (Eden) Hazard, and (Paul) Pogba, and just how they taken on roles as leaders with their national teams." "(Mohamed) Salah, he's been one of the most exciting players this year for club and country. To see him do well in the World Cup would be amazing for him and his country." "Yeah, Kendall Waston of Costa Rica. He's my teammate and I'm really excited for him. He's going to the World Cup, and I think it's pretty cool." "Obviously, Kendall and Bola (Christian Bolanos) and Costa Rica." "Neymar, you know you're always excited to see him play. He's in good form, so it will be great to see all those (Brazil) players at one time." "I would like to see Messi win the World Cup." Most looking forward to watching: "Nah"
"Oh yeah, that's my team for the World Cup, Costa Rica."